With holidays right around the corner, now is the perfect time to start thinking about how you can end this year on a generous note. 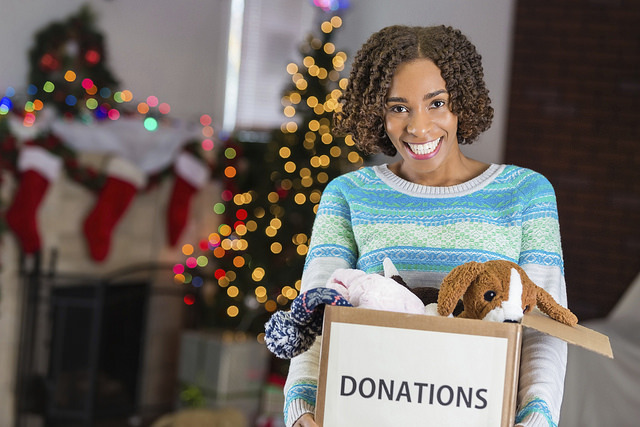 Here at Sanderson Ford, we’ve gathered a few suggestions for how you can give back to the community this holiday season. Kick off your seasonal altruism by attending the 2017 We Believe Gala on October 28th from 5:30pm to 9:30pm, hosted by the Horse Rhythm Foundation. This is the largest fundraising event for the organization, and it will feature guest speakers such as war veteran and former POW Colonel Thomas H. Kirk. Tickets must be purchased in advance via the gala’s website. Next, on November 10th, spend a night out on the town with the 2017 Annual House of Refuge Gala. 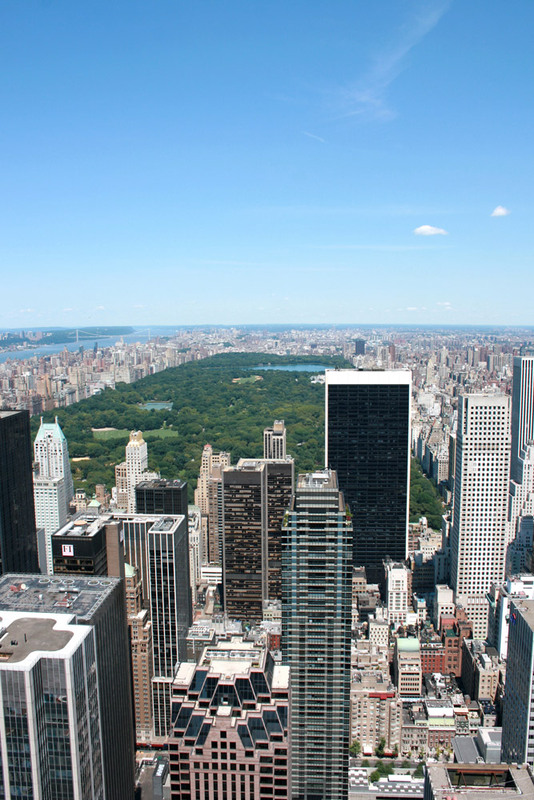 Held from 6:00pm to 10:00pm, the theme for this year’s event will be “New York State of Mind.” The event will feature foods inspired by the Big Apple. Guests can enjoy games and live music while helping improve the lives of homeless individuals and domestic abuse victims. Finally, on December 9th, join the 25th Anniversary Gala for the Phoenix Deaf Women Organization. Held from 6:00pm to 11:00pm at the MonOrchid, this event will educate the public about deaf culture, advocacy, and empowerment. Special guest Missy Keast, entrepreneur with ASL Inside, will be the featured speaker along with other noteworthy guests. These are just some of the many ways you can give back to the local community this holiday season. At Sanderson Ford, we love living so close to Phoenix. There’s always a ton to do, and since the weather is perfect in September and October, fall in Phoenix is one of our favorite times of the year. Here are some events this October that you won’t want to miss. From October 13-15, 2017, head to Tempe Beach Park for the best in German beers, foods, and festivities. Four Peaks Brewery will be serving up some of its German brews, while live music from Whiskey’s Quicker, Jared and the Mill, Lil Jon, and more keep you entertained all weekend long. That same weekend, don’t miss the Arizona Taco Festival from October 14-15, 2017. 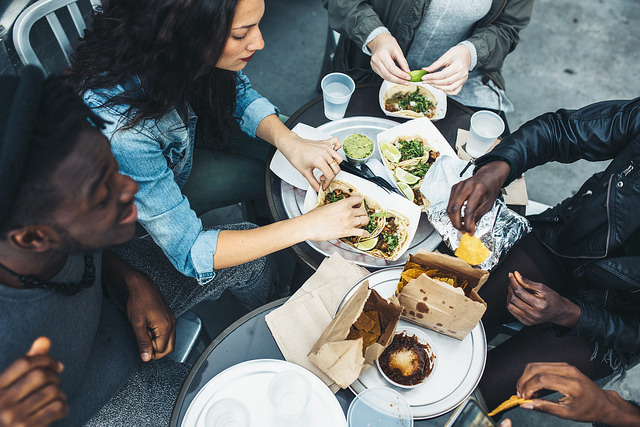 Take a break from the German grub and head to Salt River Fields at Talking Stick to taste more types of tacos than you knew existed. The next weekend is an exciting one for music fans, as the Lost Lake Festival runs from October 20-22, 2017 at Steele Indian School Park. Tickets are $165-$225 for a three-day general admission, but it’s worth the cost as you’ll have the chance to see performers like Chance the Rapper, The Killers, The Pixies, Haim, Ludacris, and more. If you want any more local fun recommendations, just ask us at Sanderson Ford! It’s a beautiful thing when a community is willing to come together to support one another, especially for those families who know the trials and stresses that come with military life. 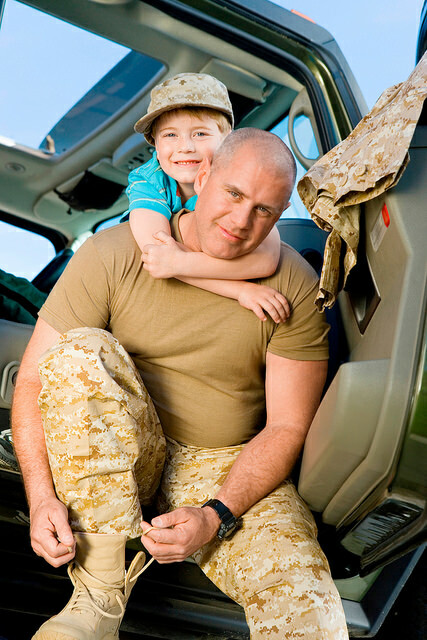 The Military Assistance Mission is an Arizona charity that was developed in order to support local active-duty military and their families, as well as Arizona’s wounded warriors. Military Assistance Mission is built with a community that wants to give back as much as possible to those who have given to and sacrificed for our country. With that in mind, it’s been an honor for Sanderson Ford to partner with Military Assistance Mission in the past, doing our part to contribute to their honorable mission. At Sanderson Ford, community involvement is a priority and our wish is to do everything we can do to create a strong, unified city and state. We feel tremendously supported by our neighbors near and far, and seek to give back wherever we can, from partnering with the Military Assistance Mission to working with the Southwest Autism Research & Resource Center and St. Mary’s Food Bank Alliance. Recently, Sanderson Ford was able to partner with Roush Performance in order to auction off the “Jack Roush Tribute” Mustang. This special Mustang ended up selling for $175,000, and all of those proceeds went straight to Military Assistance Mission who used it to support the local military families. We look forward to the next opportunity for a partnership with the Military Assistance Mission, especially knowing that their continuous efforts are making a huge difference in the Arizona community. Help Sanderson Ford give back this Christmas! Christmas is a time of giving, so Sanderson Ford is joining forces with ABC15 and Sanderson Lincoln to give to local people in need. The Fifteenth Annual Operation Santa Claus Charity Drive is being held to collect donations for the area’s children’s charities, while also giving one lucky grand prize winner the chance to win a new 2016 Ford F-150 SuperCrew truck or Lincoln MKZ. Those interested in donating to the Operation Santa Claus Charity Drive can help Sanderson Ford’s cause by bringing a new unwrapped toy, children’s clothing items, packaged food items, or a monetary donation. These items can be brought to either ABC15, Sanderson Ford, Sanderson Lincoln, and the UPS Store location nearest you from November 17th to December 20th. Donors will receive one entry slip to earn the chance of winning a new Ford F-150 or Lincoln MKZ for each accepted donated item. Participants who make a monetary donation will receive one slip for every $5 donation. Each of these donations will go towards lending a helping hand to St. Mary’s Food Bank Alliance, Ronald McDonald House Charities of Phoenix, Inc., The Southwest Autism Research and Resource Center, and Military Assistance Mission. Spread the joy of the holidays by participating in the Fifteenth Annual Operation Santa Claus Charity Drive, and give back this year. Ford has always believed in giving back, and this past January the automaker gave back in a big way to teens in North Texas. Ford Motor Company, along with North Texas Ford dealerships, gave $400,000 in scholarships to area high school students to pursue higher education in science, technology, engineering, and math (STEM) fields. So far, Ford has donated over $2 million in total to education, benefiting over 14,000 students in North Texas alone. Recipients of this latest round of scholarships will be recognized at the Ford Driving Dreams event in May 2016. 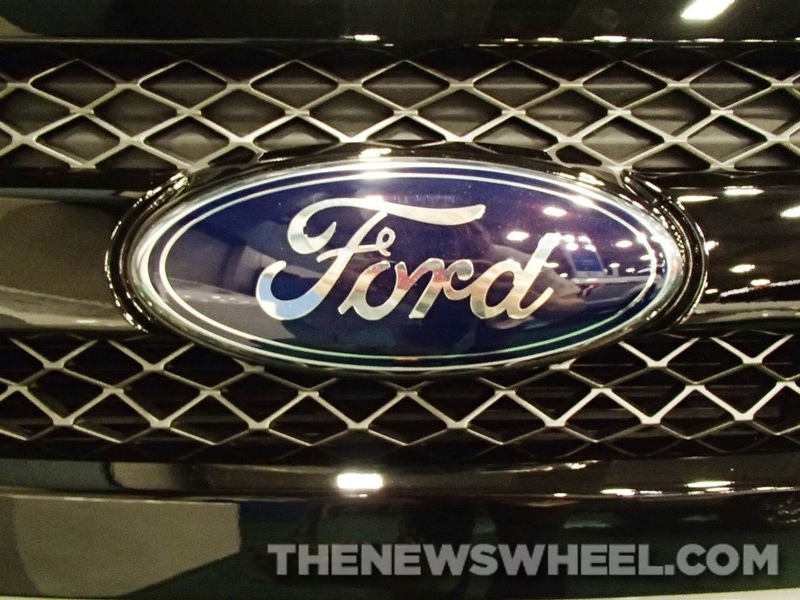 Ford Motor Company invests over $8 million annually to education around the country. Alongside the Ford Driving Dreams program, students can benefit from a variety of other nationwide Ford academic programs, like Ford Blue Oval Scholars, Ford College Community Challenge, and Ford STEAM Lab. Giving back is just another thing that Ford believes you should “Go Further” in. Sanderson Ford is doing an animal shelter drive with HALO (Helping Animals Live On) animal shelter! Whether you own pets or not, this is always a great thing to do for animals in shelters in our community. We will be collecting toys for both dogs and cats through September 16th at the dealership. The following are just a few of the items we will be collecting to help local area animals. Check out the comprehensive list for more supplies that are needed! Want to help more than just giving a donation? Have you ever thought about adopting? There are so many dogs and cats in shelters all over the country that are looking for loving homes, so if it is something you have been thinking about, contact HALO for more information on animal adoption! 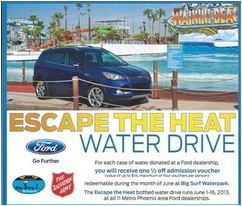 As you might remember, we teamed up with 11 other Ford dealerships and Big Surf Waterpark to help collect water for the Salvation Army in order to support the Extreme Heat Hydration Program. As a result, more than 40,500 bottles of water were collected at the various Ford dealerships around the area. “The Salvation Army is grateful to the Metro Phoenix Ford dealers for their support of our Hydrate Arizona campaign. As temperatures continue to rise, clean drinking water becomes a life and death issue. Thanks to the partnership with Ford Motor Company, we are able to provide relief to hundreds of men and women exposed to extreme conditions,” said Major John Brackenbury of the Salvation Army. Sanderson Ford collected more bottles of water than any other Ford dealership in the area with a grand total of 18,000 bottles. “This is our second year hosting a bottled water drive in conjunction with Big Surf and the Salvation Army and we exceeded last year’s total by more than 9,000 bottles,” said Steve Papanikolas, the Phoenix Regional Manager for Ford. We are so proud of the amount of bottles of water we were able to collect for the Salvation Army and we just want to say a huge thank you to everyone that donated and helped to make this possible! There are many organizations throughout the United States that help those that are less fortunate. These philanthropic organizations do great things for individuals in need. One such organization, located in New York City, has teamed up with Ford to deliver food to those that are too sick to shop or cook food for themselves. The organization, known as God’s Love We Deliver, prepares and delivers over 5,000 meals every weekday. Ford helps deliver the food through the company’s use of their fleet of the Ford Econoline vans and a Ford Transit Connect Mobile Food Pantry. These services are provided for free and they are just not any type of free meals. The organization has a team of dietitians who work to provide meals that are tailored to the medical needs of each client. We think organizations like these do amazing things! If you are looking to start up something like this yourself, or already have an organization going but need some form of transportation, then visit us at Sanderson Ford! We have a great selection of both Ford Econoline vans and Ford Transit Connects! Just two weeks ago, on Super Bowl Sunday, George Bruck had his 1996 Ford Taurus stolen from a gas station while he was inside, including all of his belongings that were left in the vehicle. The 80-year-old Korean War veteran still needed a car to get around to his doctor’s appointments, running errands, and so on. On his very limited budget he was forced to rent a car so he could go on living his everyday life. At Sanderson Ford, we got wind of his predicament and wanted to do anything we could to help. Giving back to the community is a top priority for us and what better way than to help a veteran, someone who has given more to this country than we could possibly imagine? We surprised Bruck with a 2003 Mercury Sable that had less than 50,000 miles on it, this past Friday. Just to see the look on his face and to know that we helped a veteran in need was more than enough for us. Check out the ABC 15 news report below! Hey golf fans! 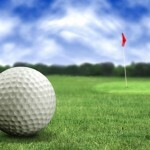 Interested in two club member passes for the WM Phoenix Open on Saturday, February 1st? Well, it’s your lucky month! 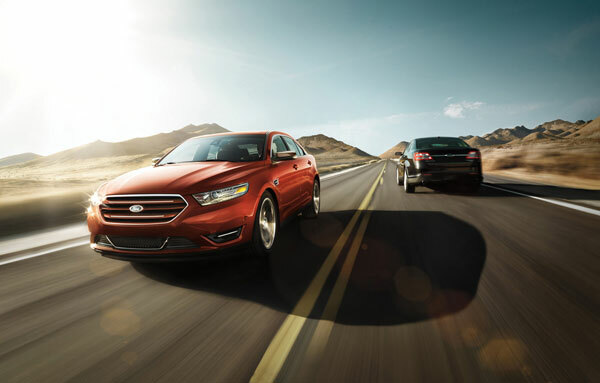 This January, swing by Sanderson Ford’s Glendale, AZ dealership. The first 100 people to take a test drive of a new Ford car or sink a put within two tries will win a sleeve of Titlelist golf balls AND be entered to win 2 tickets to the WM Phoenix Open. Oh, and he winner will receive $100 spending money as well. 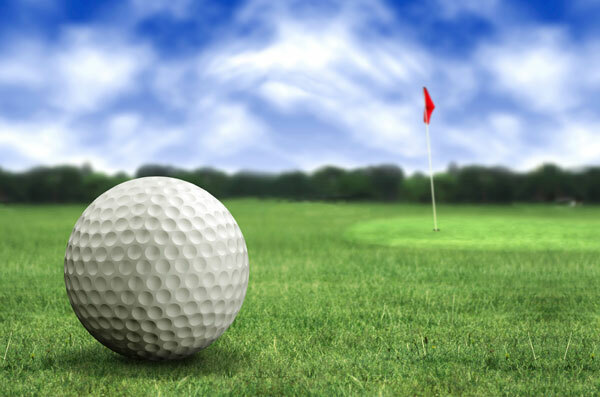 The 2014 WM Waste Management Phoenix Open will take place from January 27th– February 2nd at TPC Scottsdale. Known as “The Greatest and Greenest Show on Grass,” The WM Phoenix Open is famous for being the best-attended golf tournament in the world, gaining legendary status for being the most unique stop on the PGA tour each year. Two club member passes to this year’s open could be yours! Just swing by Sanderson Ford this January and take a test drive of any of our new models including the hefty F-150, head-turning Mustang, reliable Focus, or any other all-new 2014 models! Give us a call or swing by if you have any other questions!